Henry Ford is quoted as saying “Whether you think that you can, or that you can’t, you are usually right.” This quote, for me, illustrates the power of thought and language in influencing our behavior. We all have negative beliefs that interfere with the fulfilling of our true potential in life and work. As a business coach I see the impact of these negative or critical thoughts on my clients. This inner negative or critical voice, is personified in coaching circles as a “Gremlin.” In my work as a Business and Life Coach it is very common to see how this gremlin keeps people from progressing in their careers, achieving their potential at work, or moving forward in a relationship. It is my belief that these gremlin thoughts develop over time, throughout our lives, from our exposure to people with whom we come into contact. We can be exposed to negative or self-defeating messages by many well-meaning people including our parents, teachers, friends, work supervisors, family members, employees, and significant others. These people, like us, have experienced their own gremlins and, in turn, may pass along their gremlin negative self-talk voices either consciously or unconsciously. 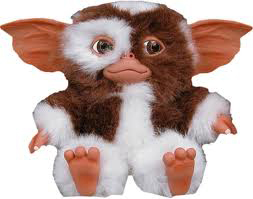 These gremlins appear to operate from a place of fear, insecurity, low self-esteem and/or self doubt but may, at times present as being helpful, protecting, realistic and cautious. However, oftentimes, the end result of these gremlins leaves people feeling discouraged and insecure. These negative thoughts make us believe that we are not worthy, not capable of achieving, or doing that which we desire. Oftentimes, they will downplay any achievements or benefits of our actions. By not achieving what we desire, or downplaying the importance of our actions-it only reinforces our negative feelings, low self-confidence and lack of action. I see this manifested in my client’s daily lives in people reporting feeling stuck, sometimes attempting to do something, such as finishing their website, making a video, getting that PhD, changing jobs, getting that advanced training; but never achieving what they desire. This lack of action often results in missed opportunity, missed income, lower quality of life, and impaired relationships. To defeat this gremlin negative self-talk, taming your gremlins, is not an easy task as they can be very creative and powerful in their approach and impact. As a coach, I help people to identify the negative self-talk, and create new, positive, action-oriented self-talk. Typically, this entails a change our attitude, our behaviors, and sometimes our strategy or technique to defeat the gremlins and develop new, positive patterns of behavior. Changing our attitudes oftentimes includes challenging our beliefs, our commitment, our confidence, and our self-esteem. Attitudes are closely intertwined with our behaviors and one influences the other, so new behaviors must be developed that include setting goals, plans and actions. As a coach, I help people identify specific, attainable, realistic, measurable and time bound goals. We also explore the strategy and technique needed to achieve any set goals. It must be noted that, as the negative self talk took time to take hold, this process of transformation takes time and effort and can only be achieved if there is a mutually developed commitment and plan between coach and client. But with a supportive and creative coach, and a determined client-this mutual process can help people see and build on their achievements, strengths, wisdom, and power that they have brought to bear in their past. I believe that anyone can build on those strengths and successes with specific and measurable future goals and actions. Coaching, although not a substitute for therapy, can be very helpful in times of transition when the gremlin can surface in its role as both a protector and hindrance to any action. When thinking about your own life and work; what are your own negative beliefs holding you back from doing? What is it costing you in terms of lost income? Are you truly living up to your full potential?